Jason Charles asked me to guest-host an East Village-based session for his podcast network. 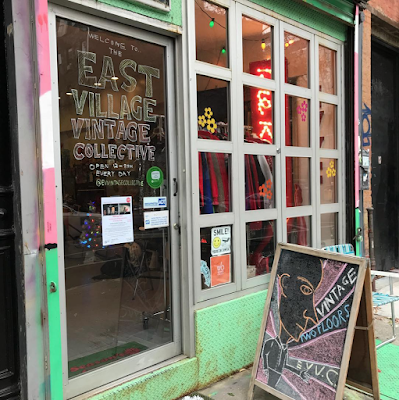 For this episode, I talked with Maegan Hayward, the proprietor of the East Village Vintage Collection at 545 E. 12th St. between Avenue A and Avenue B. The place started as a pop-up shop in August 2015. 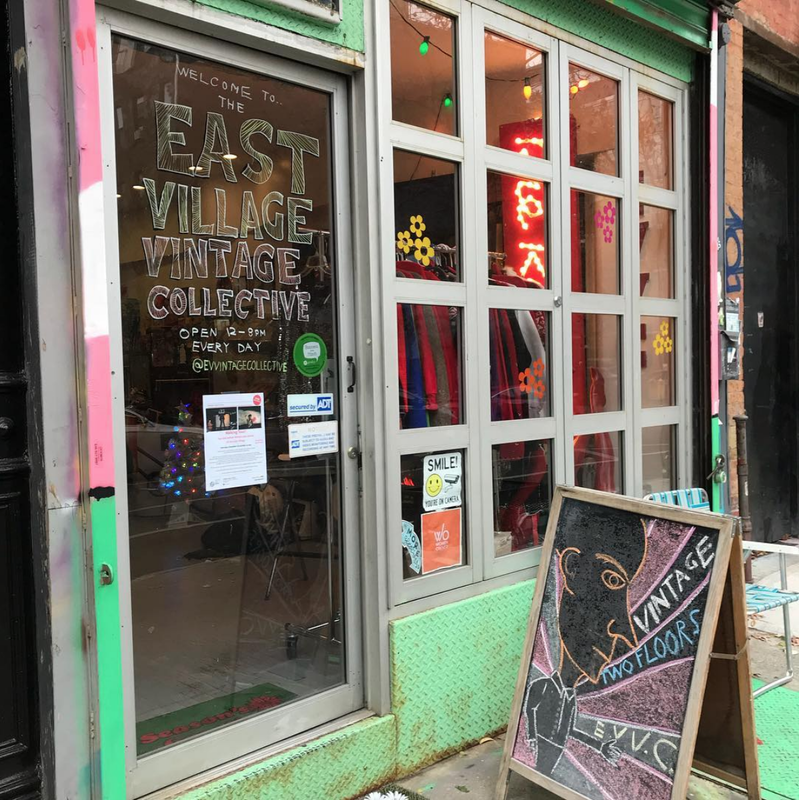 Along the way, the East Village Vintage Collection became a full-time endeavor now entering its fourth year. Launching the business is among the topics that we cover in the 27-minute podcast, which you can access here. We also discuss thrift-shop culture, what people look for these days (spoiler: jeans) and the challenges of running a small shop in NYC. And the landing page with the East Village Vintage Collection podcast includes a two-part podcast that Delphine Blue did with me last fall. Thrift stores were great, like when Barbra Steisand was into them in the 60's. But that was because a lot of clothing and things were built to last in the 20s, 30s, 40s. Now thrift stores are for survival. I love this store and need to drop in more often. Thanks for the reminder!